This Newport 1936-C Single-Channel Optical Power Meter is New, and still has the protective plastic on the screen and front bezel. It also includes the Newport Start Up Guide and Software CD, which also has the operators manual on it. I powered it up and put a sensor to make sure all is well. 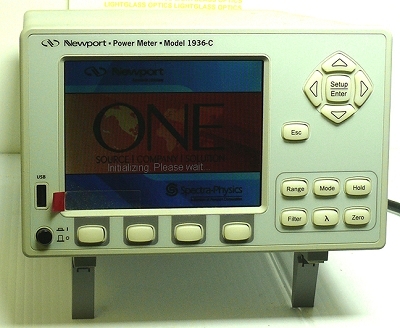 Yes, this is the one with the big TFT Color display that you can customize for your lab!